Sanrio + Loot Crate Subscription Box – Available Now! 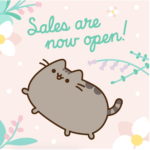 The Loot Crate x Sanrio subscriptions are now open! Good to know: Order by November 30th at 6pm PT to ensure holiday delivery. Theres a spoiler on the website for the first item! Does Loot Crate ever do black Friday coupons? Can’t wait to see this one reviewed! I’d love to get it, but obviously I don’t need it. I already get Pusheen and love it so it’d be hard to justify another just for fun cat box. But never say never… if for some reason we see spoilers on Instagram, I might cave ? Will you have sneak peeks? Any one know of a discount code? Loot Crate typically doesn’t do spoilers for their boxes, sometimes we get spoilers on Instagram once the box starts shipping, but sometimes those comes after the sign up cut-off date has passed. As for coupons, they don’t offer coupons for their new crates – sorry! Also – you can set up email alerts above so you’ll know right away of spoilers and coupons. Hope that helps! I would LOVE to see a review of this. 43 years old and I love Sanrio LOL. We’ve already bought our subscription! We’ll be reviewing it! I would love to know the RV of the box if they give that early. On Lootcrate it says $75 RV.